The EJA110E is a standard traditional-mount differential pressure transmitter and is part of the most recent evolution of the DPharp family, the EJA-E series. It features a single crystal silicon resonant sensor and is suitable to measure liquid, gas, or steam flow as well as liquid level, density and pressure. EJA110E outputs a 4 to 20 mA DC signal corresponding to the measured differential pressure. Its accurate and stable sensor can also measure the static pressure which can be shown on the integral indicator or remotely monitored via BRAIN or HART communications. The EJA118E is a differential pressure transmitter with remote diaphragm seals and is part of the most recent evolution of the DPharp family, the EJA-E series. They can be used to measure liquid, gas, or steam flow, as well as liquid level, density, and pressure. EJA118E outputs a 4 to 20 mA DC signal corresponding to the measured differential pressure. Its highly accurate and stable sensor can also measure the static pressure which can be shown on the integral indicator or remotely monitored via BRAIN or HART communications. 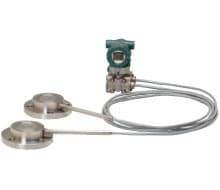 The EJA130E is a traditional mount, high static differential pressure transmitter and is part of the most recent evolution of the DPharp family, the EJA-E series. It features a single crystal silicon resonant sensor and is suitable to measure liquid, gas, or steam flow as well as liquid level, density and pressure. EJA130E outputs a 4 to 20 mA DC signal corresponding to the measured differential pressure. Its accurate and stable sensor can also measure the static pressure which can be shown on the integral indicator or remotely monitored via BRAIN or HART communications. 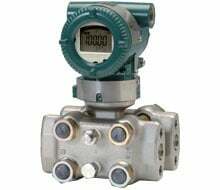 The EJX110A is a traditional-mount differential pressure transmitter and is part of the EJX-A series. It features a single crystal silicon resonant sensor and is suitable to measure liquid, gas, or steam flow as well as liquid level, density and pressure. EJX110A outputs a 4 to 20 mA DC signal corresponding to the measured differential pressure. Its highly accurate and stable sensor can also measure the static pressure which can be shown on the integral indicator or remotely monitored via BRAIN or HART communications. 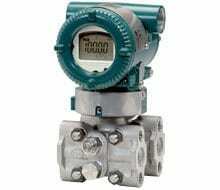 The EJX130A is a traditional-mount, high static differential pressure transmitter and is part of the EJX-A series. It features a single crystal silicon resonant sensor and is suitable to measure liquid, gas, or steam flow as well as liquid level, density and pressure. EJX130A outputs a 4 to 20 mA DC signal corresponding to the measured differential pressure. Its highly accurate and stable sensor can also measure the static pressure which can be shown on the integral indicator or remotely monitored via BRAIN or HART communications.